Natural woods help to provide an incredible location for your fish – in terms of both its aesthetic qualities and its practicality. There are many different types of wood for freshwater aquariums as well as saltwater, marine aquariums. Hugo Kamishi currently stock three types of wood that all look great and we can also help to show you how to prepare driftwood for fish tanks. 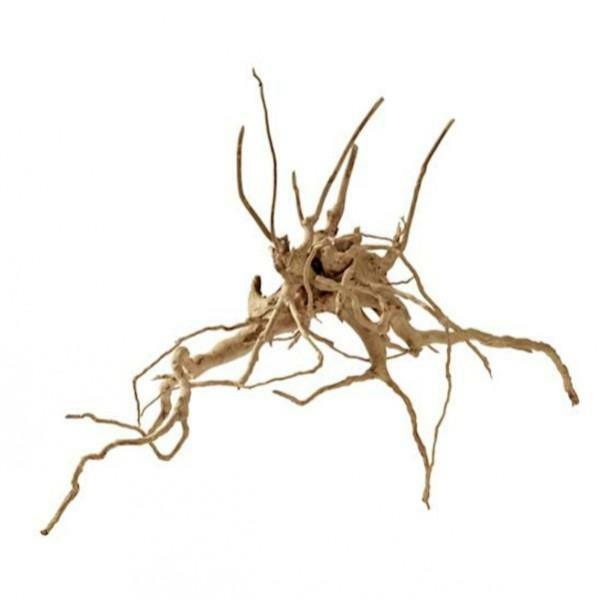 If you are looking at different types of aquarium driftwood, Hugo Kamishi are here to help. As with all of our products, the aquarium wood types we sell are of the highest quality. We sell ‘desert fingerwood’ which has an attractive, unique shape that your fish will love. Fish will swim around the fingerwood, hiding from each other and finding food as they go. The ‘Mopani Wood’ is another popular choice amongst many of our customers. The African wood is a unique colour, shape and style that will help your aquarium stand out to guests and visitors – providing an interesting talking point. The fish will love to play around the Mopani Wood as they go about their business finding food and hiding. 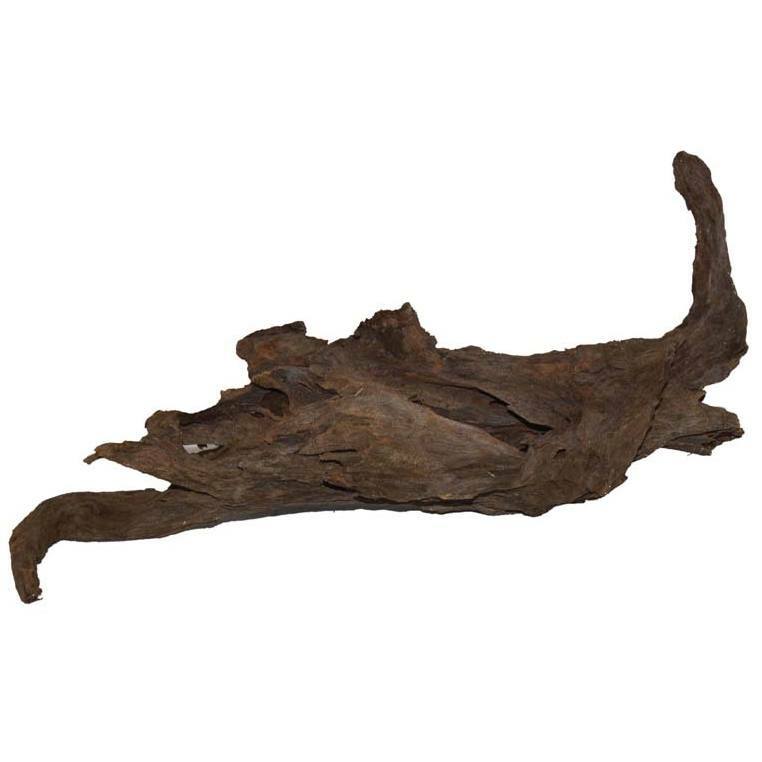 The ‘Bog Wood’ sold by Hugo Kamishi is another natural wood with interesting characteristics. The wood adds a further element of mystery to the tank, helping you drift off and imagine your fish in unique, mysterious settings when you are sat relaxing at the end of a busy day. 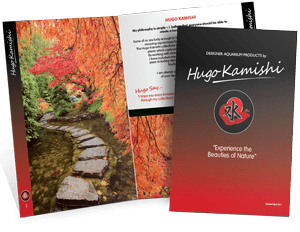 Regardless of the natural wood that you choose to use, you can be sure that Hugo Kamishi’s catalogue will impress you and other viewers of your tank. The wood provides a natural, beautiful backdrop to your tank, and fit in perfectly with other plants and accessories that are commonly seen in fish tanks everywhere. Without content, a fish tank can look plain and boring without inspiring you or your fish. Natural woods make your fish look like they are in natural surroundings, and this can create an amazing backdrop in your house. What can look particularly effective in an aquarium, is a display that contains more than one type of wood. As the colour schemes of nature are so inclusive, they look amazing together and this enhances the wood’s beauty and interest when viewed. Perhaps they could even be strategically placed to look like fallen trees or other natural landscapes? Let your imagination run wild! Before placing the wood in your aquarium, it is wise to check how they should be prepared. We suggest that these woods be soaked prior to placing them into the tank. Alternatively, you could weigh them down so that the wood gets waterlogged. This wood also makes great landscapes for other pets in different contexts such as terrariums. Natural landscapes appeal to many different types of wildlife, so you can let your creativity flow when you use these types of wood in your tank. Hugo Kamishi enjoy providing aquarium accessories that reflect nature’s beauty and character. 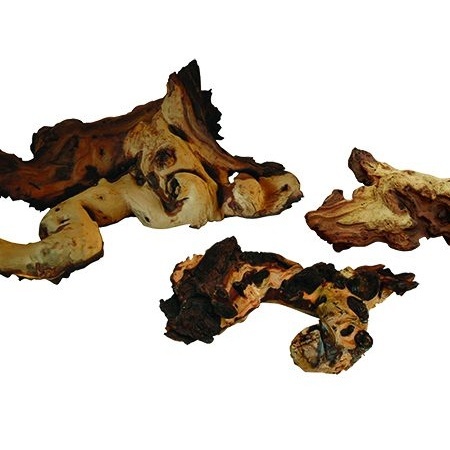 Order from our selection of driftwood and decorative wood today to add life and character to your tank.